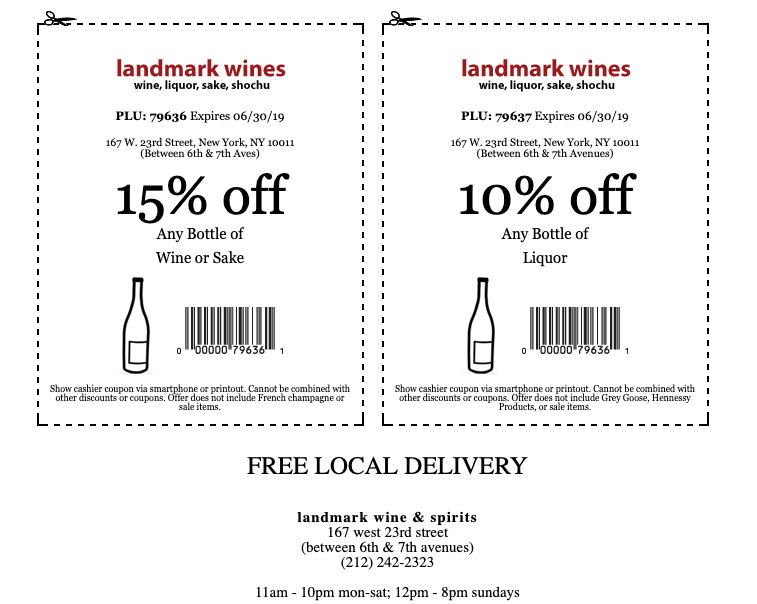 An independent, local retailer of wine, sake, spirits. 167 W. 23rd St, New York, NY 10011. (212) 242-2323. m-sa 11a-10p, su 12-8p.